You will be very lucky to find one of those as ST is not ,as far as I am aware ,still trading. You may find some New old stock lurking in a shop somewhere . Suggest you ask John from Laser engines what carbs they now use or they can help . Is it beyond straightening? If the aluminium part is bent, you can anneal it by coating it with soap and gently heating it until the soap turns black. Let it cool and it should bend without cracking. After a few days the aluminium will age harden back to its normal condition. Sounds like you have nothing to lose by trying it! Dave's dad, Mick, used to be the Super-Tigre importer, and I'd be surprised if Dave didn't have some bits kicking around somewhere - even if second hand! Thanks but Jon at Lasers put me in touch with Motor & rotors, they had a look and as yet I haven't had a reply saying they found one. If you heat it up to dull red with a blow lamp and allow it to cool, that will anneal it and you can have a go at straightening it. The material will remian soft afterwards though, so then more liable to further accidental bending. The danger of trying to straighten it without annealing is that it might simply snap off, depending on the particular grade and hardness of the brass. If you have access to a lathe, then it is possible to hold it in the chuck and rotate it to check for straightness. You will also be more easily able to judge the best direction to give it a gentle knock to straighten it. Stick it in the post and I can do if for you, if you are willing to wait a while and at you own risk of course. at virtually every swap meet I've been to, there have always been a few ST carbs knocking about at the bottom of a box of bits of engines usually under the bench, mostly missing the needle as it was protruding and prone to being snapped. Shouldnt be that hard to get one. A few come up on ebay quite regulary. So far I cant shift the engine intake tube but the inside dia air intake on the carb measures 7.2mm or 9/32" ish !! 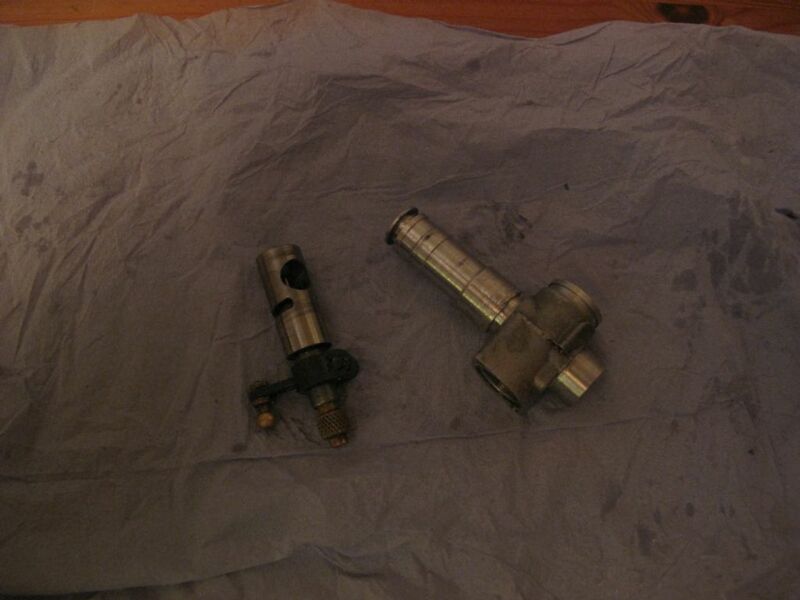 Have looked through my spares and can't find the part you need . As the bend is minimal have you tried straightening it ? It's not quite the same, early November bring and buy is getting closer I will take my vernier guage along to double check. Have you got a link or what was the search heading you had ? 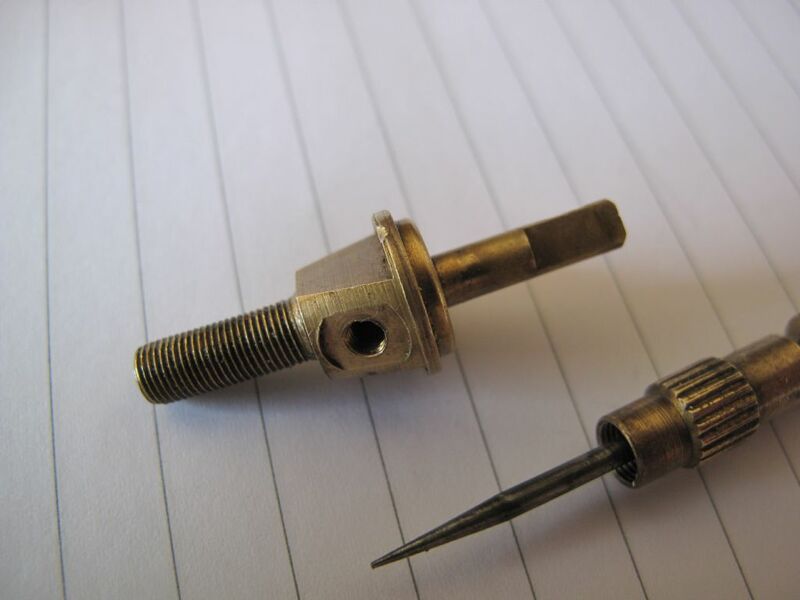 Firstly, that is the older type ST carb with a different design of needle and spraybar assembly which is not compatible with trebor's carb..
Secondly, it's me who has already placed a bid! He is a nice man, you buy it and give it him. !